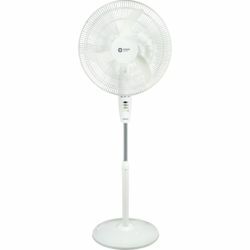 Enjoy the best cooling comfort in the summer season with the Orient Electric Wall 48 high speed wall fan that enjoys a classic design in white. 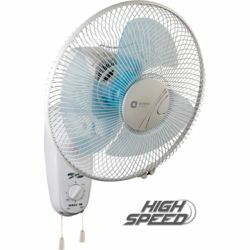 This fan features a powerful motor, aerodynamically designed resin blades, tilt adjustment, motor protection through thermal overload protection, pull chord mechanism for oscillation and speed control, and powder coated guard and polymer ring for enhanced protection. If you are looking for a robust wall fan, Orient Electric Wall 48 is great option as it features front and back guard with extra ribs for safety. 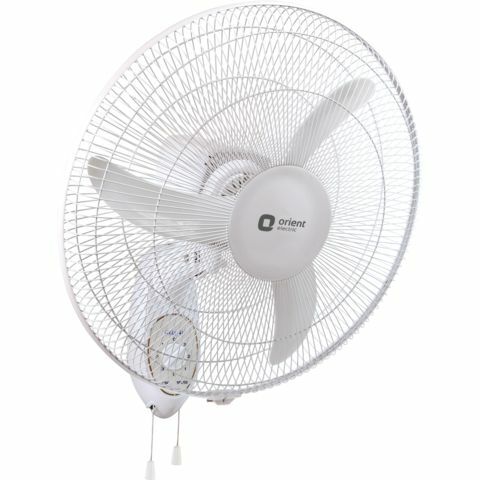 Enjoy the best cooling comfort in the summer season with the Orient Electric Wall 48 high speed wall fan that enjoys a classic design in white. 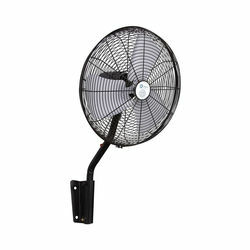 This fan features a powerful motor, aerodynamically designed resin blades, tilt adjustment, motor protection through thermal overload protection, pull chord mechanism for oscillation and speed control, and powder coated guard and polymer ring for enhanced protection. If you are looking for a robust wall fan, Orient Electric Wall 48 is great option as it features front and back guard with extra ribs for safety.